Kent Speedway have announced two new fixtures in the 2019 calendar with an inter-county challenge, Kent TouchTec Kings vs. Swindon Sprockets. 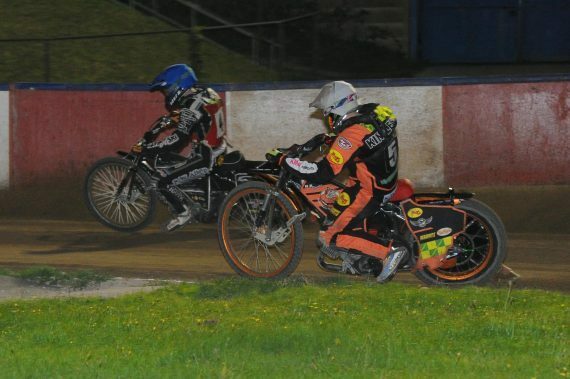 The second leg will take place at Kent’s home circuit Central Park Stadium on Monday July 1st at 6.30pm, with the first leg on Swindon’s newly reconfigured track at the Abbey Stadium in the Wiltshire town being at 3pm on Sunday June 23rd. As top division Swindon are the parent club of Kent rider Anders Rowe, he will line up in the Wiltshire team’s colours for this inter-county challenge – and the big news is that taking Anders’ place in the Kent team for these matches, following a successful skiing test on his injured knee, will be Luke Bowen – making what will be one of a few on-track appearances in the 2019 season. The return to action of probably the most popular rider ever to don the Invicta race jacket is bound to be a huge hit with Kent fans. “My long standing friendship with Swindon promoter Terry Russell, going back to 1964 when he used to help me prepare the Hackney track, was a major factor is setting up this exciting rubber and I appreciate his input in setting up these meetings”, commented Kent co-promoter, Len Silver. This entry was posted	on Wednesday, March 27th, 2019 at 11:00 am	and is filed under Other Sports, Speedway. You can follow any responses to this entry through the RSS 2.0 feed. Both comments and pings are currently closed.